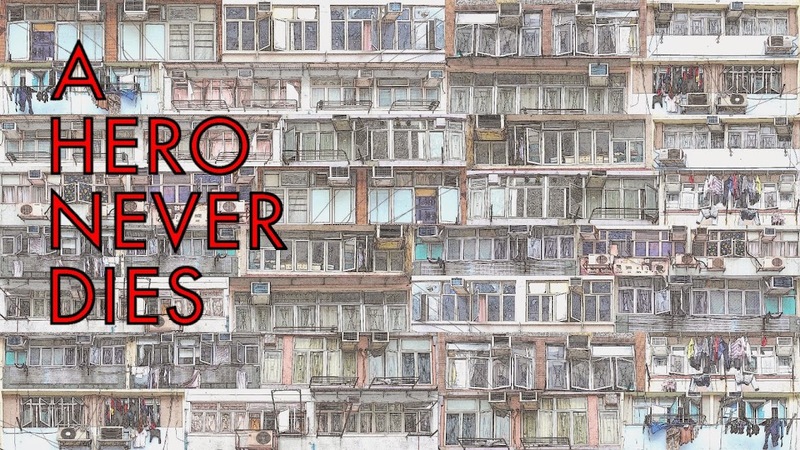 This is my 300th post in around 15 months or so, some have been long, some short but overall I'm surprised by my productivity as I am essentially pretty lazy. I originally started blogging as a distraction from a few problems I was going through, I am now in a position to say those problems are behind me and I can move on. Where does that leave the blog? I've really enjoyed the time I've been posting and have made many friends, so I have no plans to quit anytime soon, I can't guarantee the posting rate won't drop though! I'd like to take a second just to thank everyone who visits and comments and especially all those who have supported me throughout the life of the blog. For the 300th post I decided a while ago a site redesign was in order to go along with the new domain name, and after plenty of playing around with the design page, this is what I settled on, not that much of a difference really. Please let me know what you think, any feedback will be gratefully accepted. So, as well as those awesome Japanese posters I've been posting about, I decided to use the cash I got from my birthday to treat myself to a few dvds and blu rays that I wouldn't have otherwise bought due to my self imposed ban, I think I did okay! 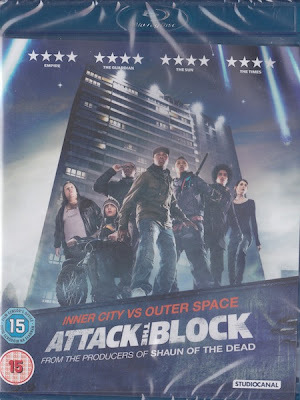 Attack The Block, watched this blu ray earlier in the week and I enjoyed the movie even more second time round, the blu is really solid too. 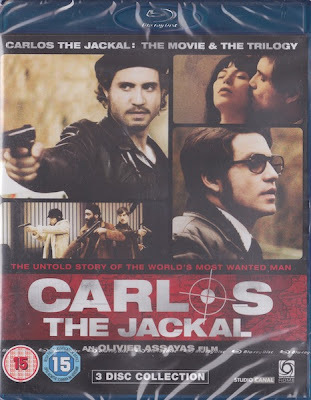 Carlos The Jackal, Oliver Assayas' mini series and condensed movie version of the Carlos story in one collection. This had great reviews, so I'm expecting good things here. 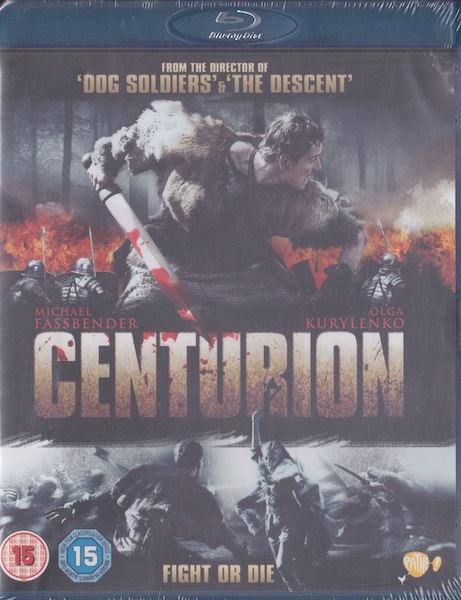 Neil Marshall's Centurion, I'm a huge fan of Marshall's output (yes even his Escape From New York rip off Doomsday) and thought Centurion was a great deal of fun. Another (admittedly minor) step on the road to stardom for Michael Fassbender. 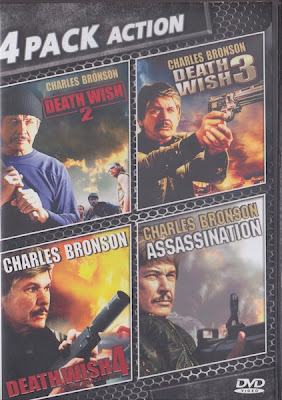 Some Bronson magic, picked this up for Death Wish 3 but I enjoyed 4 in it's own trashy way too. Gary Sherman's Wanted : Dead or Alive, a real favourite of mine from the mid 80's. 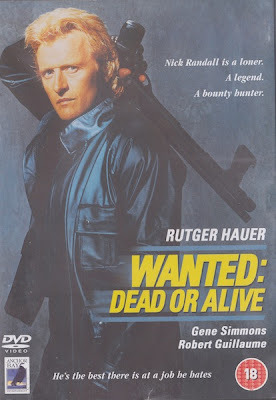 Great performances from Rutger Hauer and Gene Simmons along with some great lines and violence. Last but certainly not least for this post, Blue Underground's excellent blu ray of Lucio Fulci's splatter classic Zombie. You'll never believe how eye poppingly great this film could look! Carlos - a friend of mine was laid up with tonsilitus recently and watched the entire thing (on the Criterion blu) in one sitting, and pronouced it a "masterpiece", and I'll tell you, Dave doesn't normally lavish such praise on films. Looking forward to hearing your thoughts on it, and then I might make a purchase. I like the idea of immersing oneself in these long form films. The Bronson box - Mart does this one have the uncut Death Wish II, or R-rated cut ? I've always regretted not getting the Australian Death Wish box which contained the full-strenght sequel - it's well out of print now. I'm trying to remember if I had seen Wanted Dead or Alive back in the day. Probably I did as I was a huge Hauer fan in the late 80's, I pretty much worshipped him after The Hitcher, and he was great in all those old Paul Verhoeven films, and of course Blade Runner. Everyone mentions Hauer's final soliloquay from the end of Blade Runner but my favourite moment is the look on his face after he kills Tyrell. Not everyday you get to kill God, and Hauer seems like he's in another level in that brief moment, he looks absorbed. Gary Sherman was a good, solid gun-for-hire and I really like Death Line, Vice Squad and Dead & Buried. 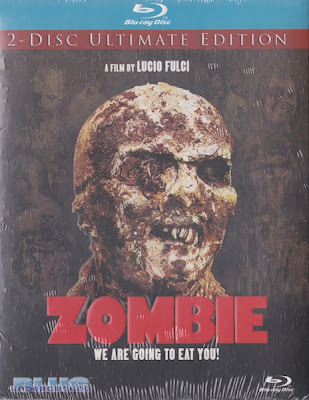 I haven't picked up the Zombie Flesh Eaters Blu yet, most likely cos I know this film backwards now, I must have seen it 40 times at this stage, I could rattle of the dialogue like the ABC. Is the Blu really that good ? Congratulations on your 300th post! Congrats on the 300th post. 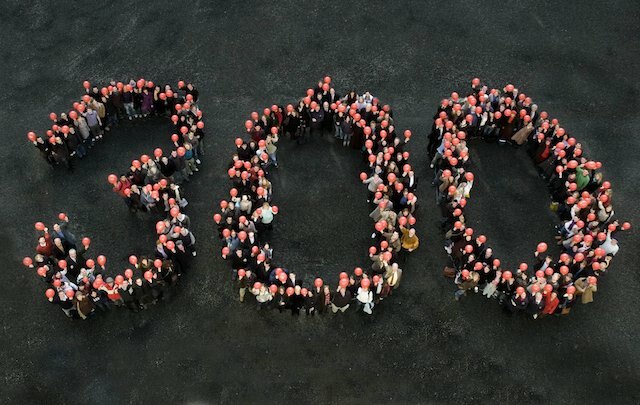 Here's to the next 300! 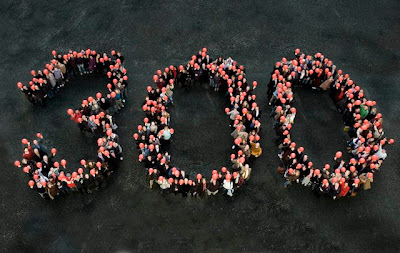 Congratulations on the 300th post! Also excellent pick-ups. Centurion was a lot of fun. Nice DVDs you picked up there! Wes, Thanks for the encouragement, blogging has really helped me out over the last year and a bit, and it really seems to work as a kind of therapy, not least through making blogging friends. I look forward to what you have instore today ! Carlos, i'm saving it until I can do it in one or two sittings, I'm sick at the minute which would have been an ideal time but I have to go to work anyway. Centurion is more of a straight action flick, nowhere near either of your two extremes. I loved it in a Saturday night way. Death Wish 2 is the R rated cut, I wasn't bothered as I don't rate the second one very highly. A few have criticised the Zombie blu but I can't imagine it ever looking better Wes, I was holding off but got it for around £6.50 including delivery. Congrats man, keep reviews coming!